Everyone know that Ford Performance part are the go-to parts when Ford owners want to increase the performance of their Mustang EcoBoost and Mustang GT. Performance packages for model years 2015 and new Mustang EcoBoost and Mustang GT are now available. These new calibrations provide serious power gains! They are also 50-state-compliant. Better yet, they are compatible with the vehicle’s limited warranty. The Ford Performance Mustang EcoBoost performance calibration kits for the 2.3-liter EcoBoost engine boosts peak torque 70 lb.-ft. This makes a total of 390 lb.-ft. of torque. Drivers will also see a peak 25 horsepower gain for a total of 335 horsepower. Three different performance packages are available for Mustang GT. This provides gains of up to 37 horsepower for a peak 472 horsepower in the 5.0-liter V8. This also increases engine redline and offers no-lift-shift capability. Mustang GT receives a trio of power packages for its V8. 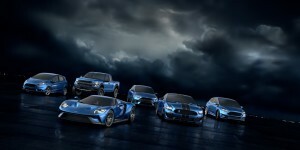 This marks the first time Ford has offered more than one performance calibration for a single powertrain application. These power packages bring a unique no-lift-shift feature to manual transmission-equipped vehicles. It also enables drivers to maximize acceleration by allowing shifts without lifting off the throttle. 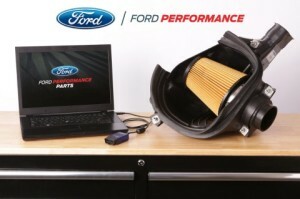 The kits are available now through Ford Performance Parts. Drivers can also find many other performance-enhancing parts for Ford cars and trucks. Owners should check with their dealer for limited warranty details. If you have any questions, you can always give our Parts Department a call and they will be more than happy to answer your questions! 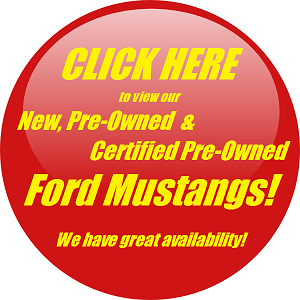 Beach Automotive also has some really awesome Mustangs in stock and available for test drive. Give us a call today and we’ll set up your very own VIP-Test Drive experience! Call today! 0 comment(s) so far on Performance packages now available!